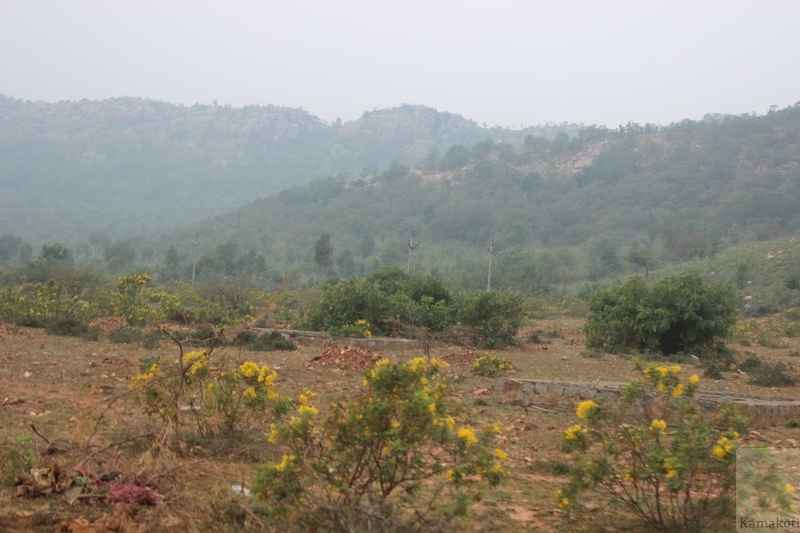 During the recent Yatra of His Holiness in Andhra, Girivalam was performed in Kalahasti.The Parikrama is 23 kilometers long. 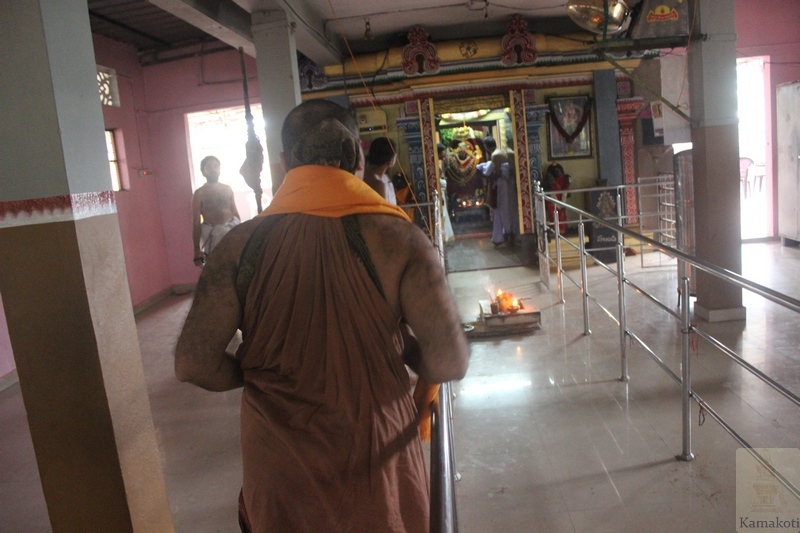 Sri Kalahasteeswara swamy is taken on this Parikrama during the Shankaranti and Shivaratri utsavams. 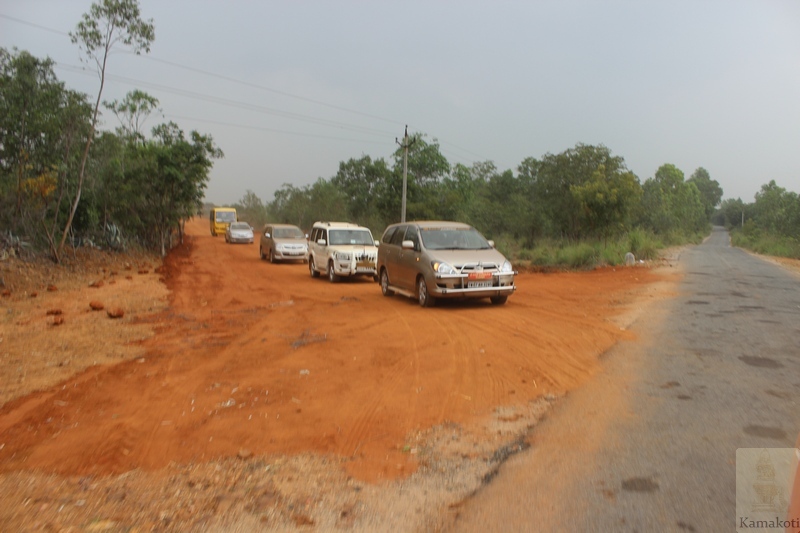 Efforts to clear the path and facilitate easy movement for the devotees is being taken up. 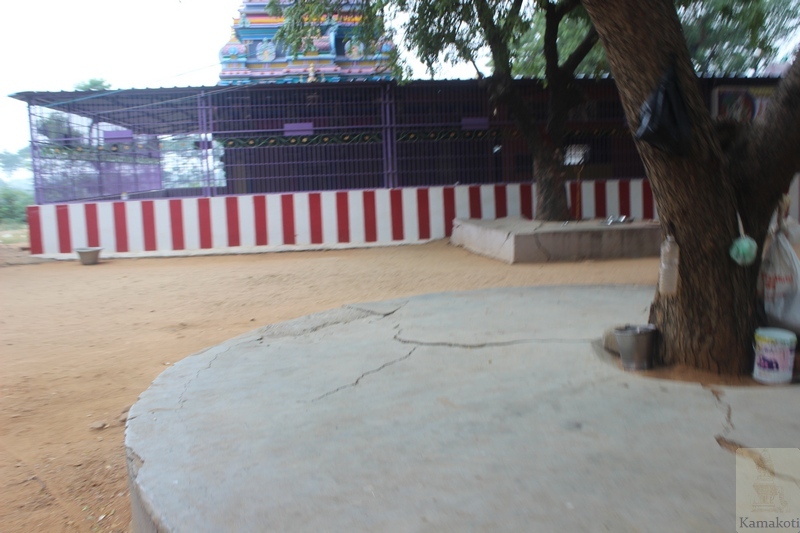 There are two historic mandapams along the path. 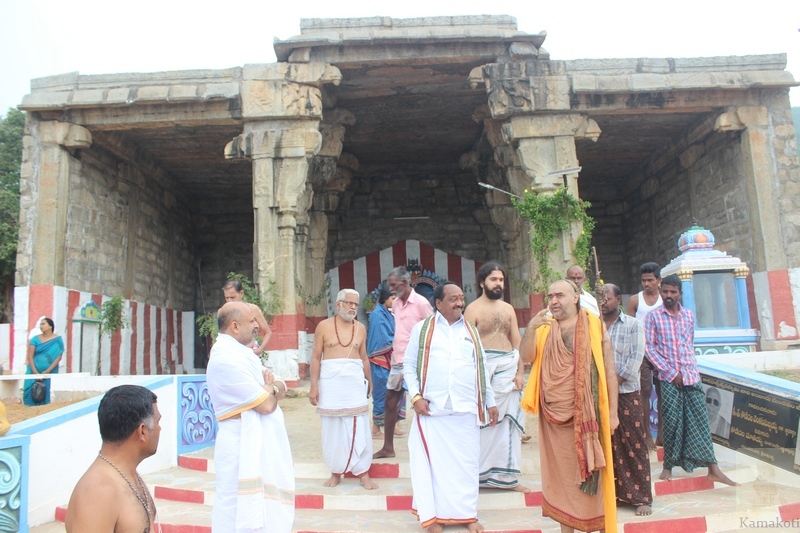 One of the mandapams has a step-well (Nada-bavi - Nada means step and Bavi means Well in Telugu). 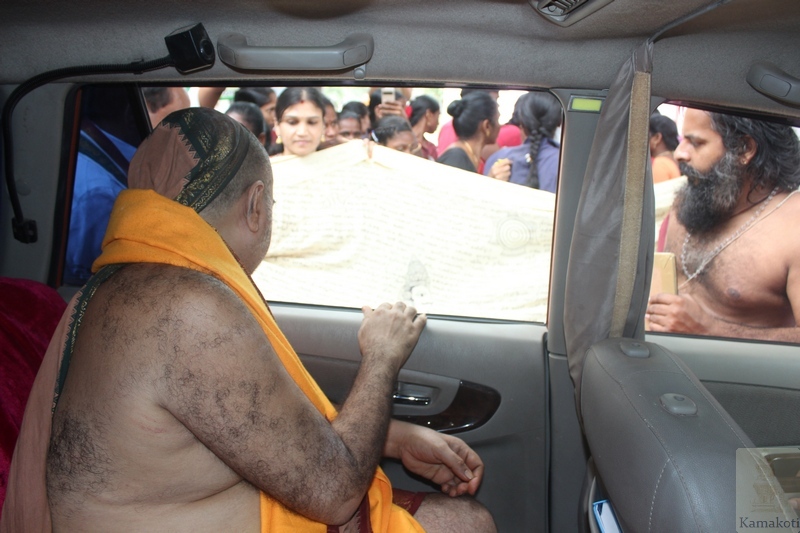 His Holiness Pujyashri Shankara Vijayendra Saraswathi Shankaracharya Swamigal blessed the efforts. 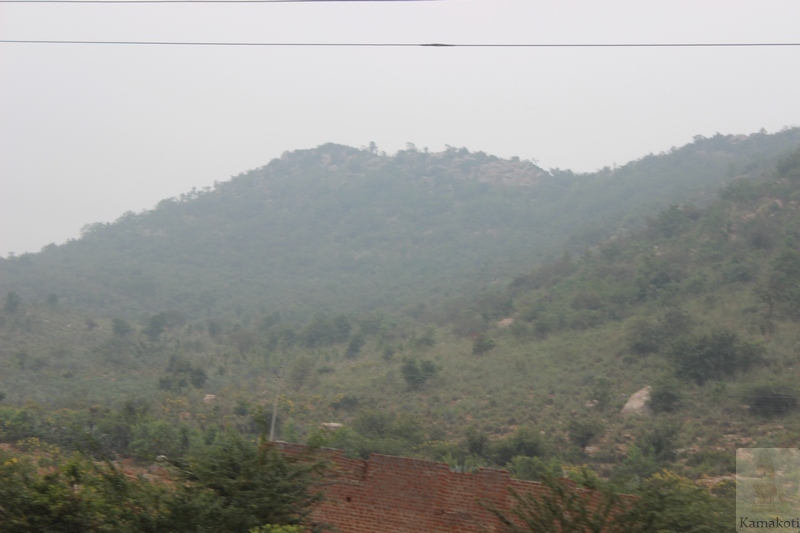 The Chairman and E.O. 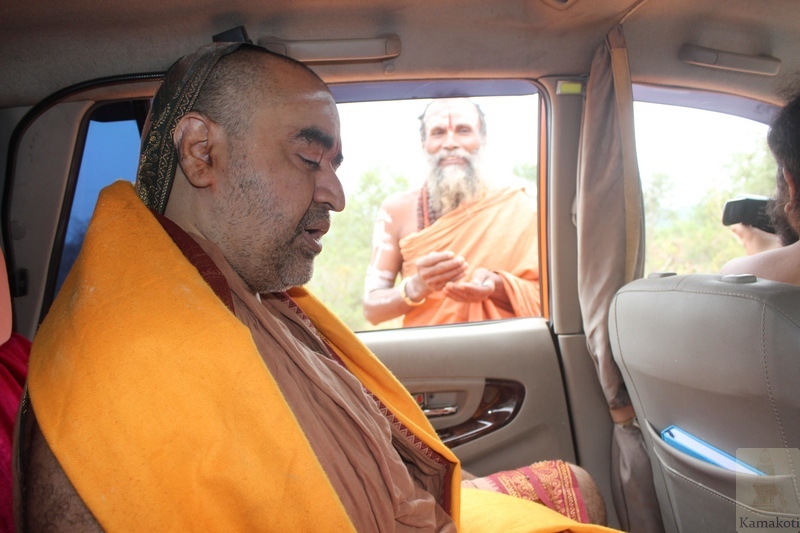 of Sri Kalahasteeswara Swamy Devasthanam accompanied His Holiness along the Girivalam path. 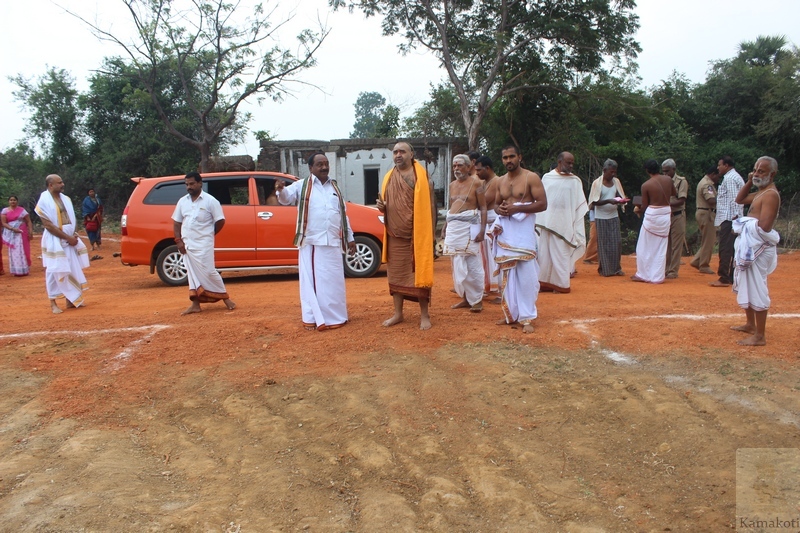 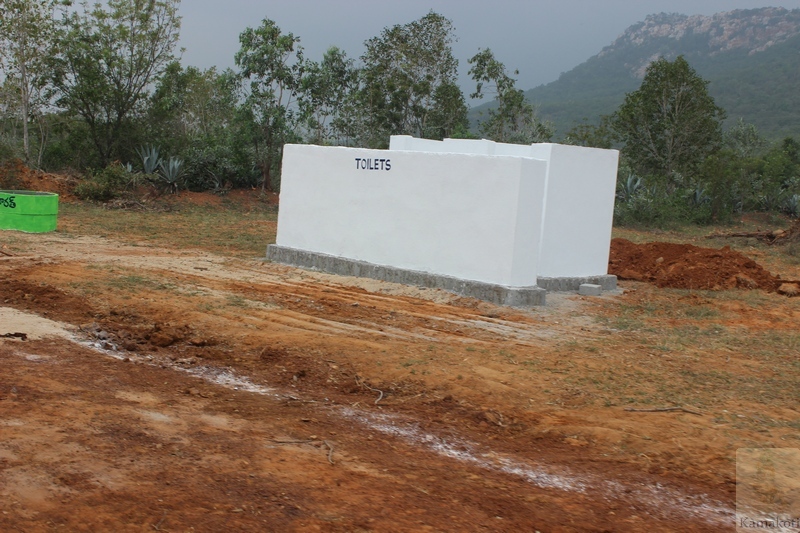 His Holiness blessed the residents of villages along the Girivalam path. 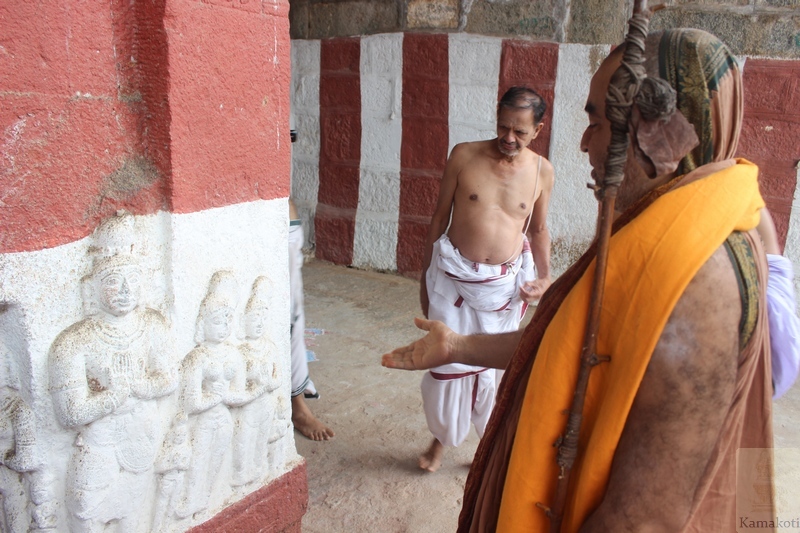 His Holiness visited a Kali Ammavari temple along the path and passed along the Sahasra Linga Kundam which are two important spots for pilgrims. 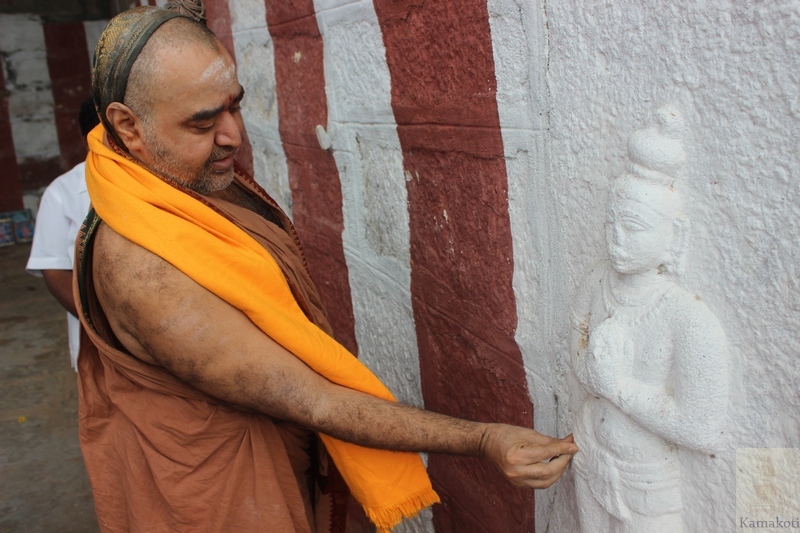 His Holiness blessed the women folk who displayed the Kalamkari works and cloth paintings of Dashavatara, and other deities. 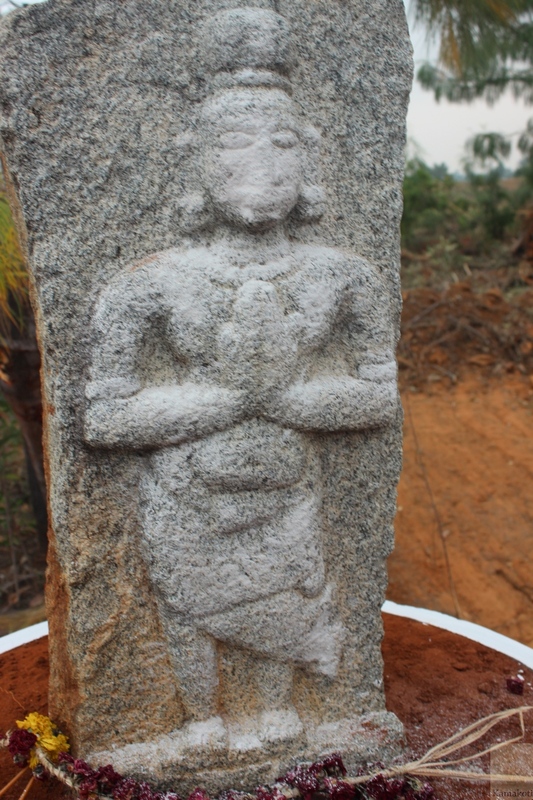 As the pradakshinam was undertaken early in the morning, farmers working in the fields also received the Anugraha of Acharya Swamigal. 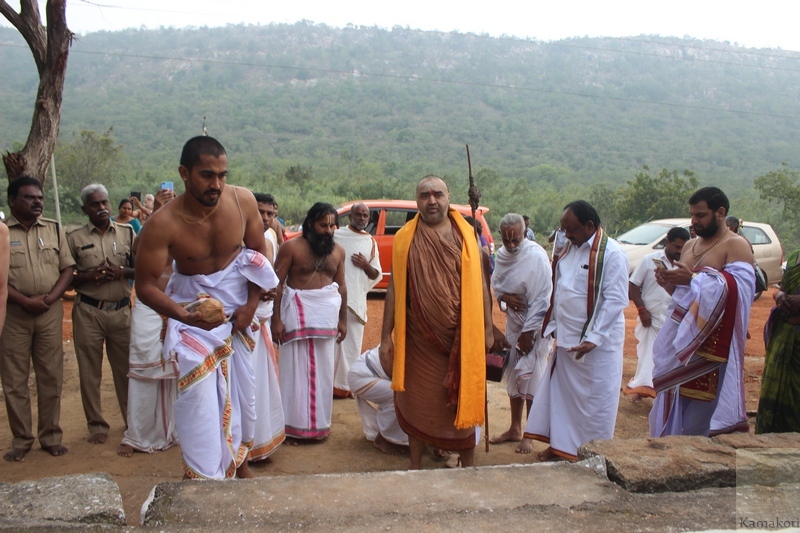 After the pradakshinam, His Holiness returned to Shrimatam camp and performed the Nitya pujas.﻿﻿ Photos taken during the Girivalam.